In recent times, open concept wardrobes have been gaining demand. With its huge volume, easy access and storage, open concept wardrobes is ideal for users who like to fully ultilise their space and likes the airy feels that traditional wardrobes or cabinets cannot achieve. Our popular Ximula system fulfils all the criteria and, in addition, provides mobility as it can be dismantled and reinstalled wherever you move. 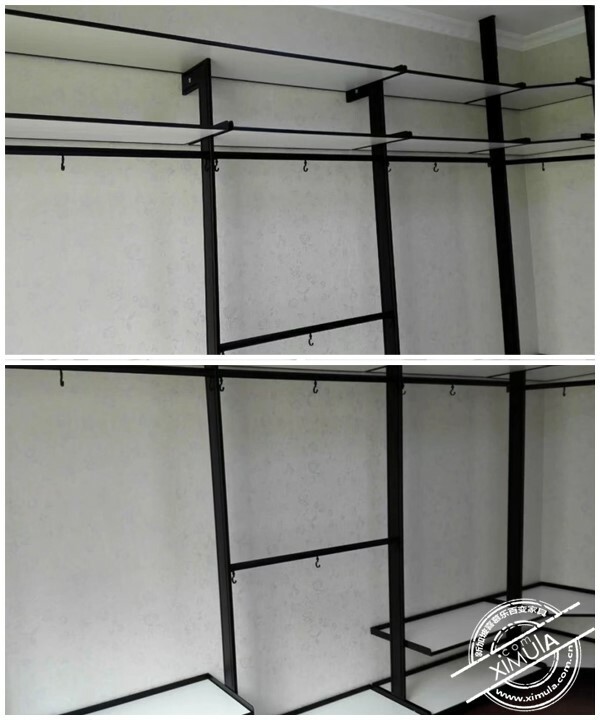 Furthermore, our Ximula system is customised to your specifications and will fully ultilises your space with our corner shelving. The combination of our black powder coated frame with the clean white environmentally friendly melamine board has been a constant favourite among our customers. 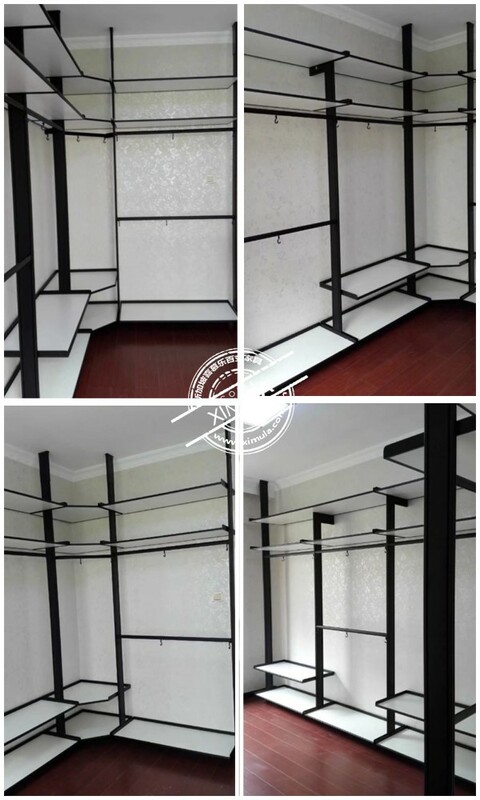 To accomplish our client’s request, we have designed and crafted an extra wide shelf for storage of their luggages.